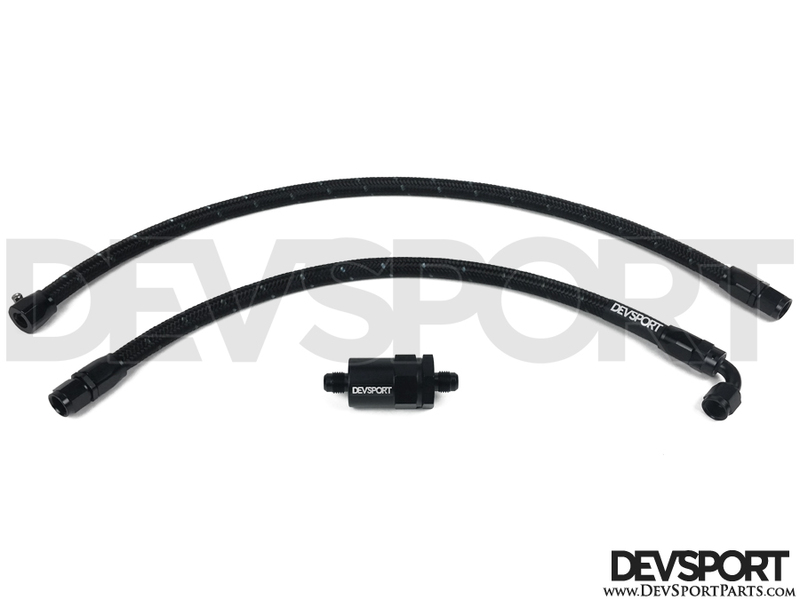 This kit replaces the OEM rubber feed hose, OEM hard line along the firewall and OEM fuel filter with stylish -6an black nylon braided lines, black hose ends, and DevSport inline fuel filter. The V2 Kit attaches to the OEM hard line located by the subframe as it comes up from underneath the chassis. The new feed line routes along the subframe and up to the fuel rail. Giving your engine bay a nice, clean, "tucked" look. 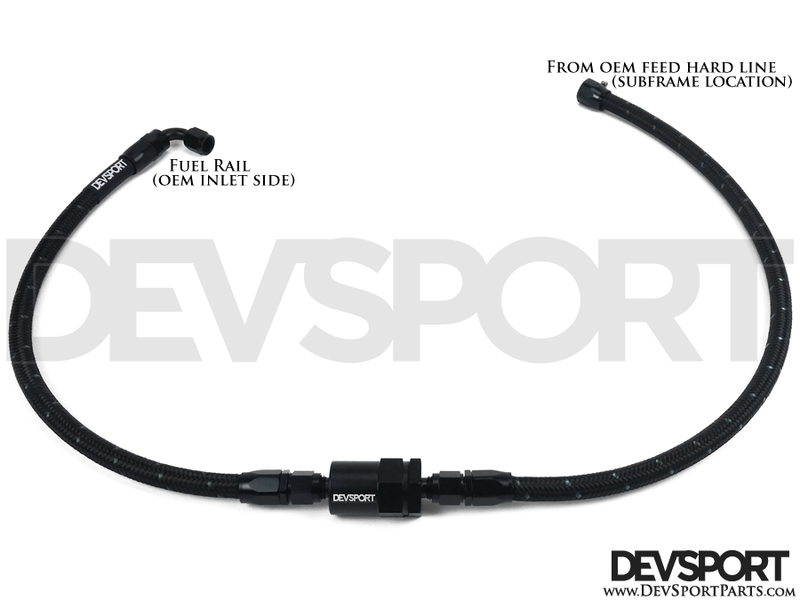 Don't worry, this kit works with the OEM or any aftermarket fuel rail. 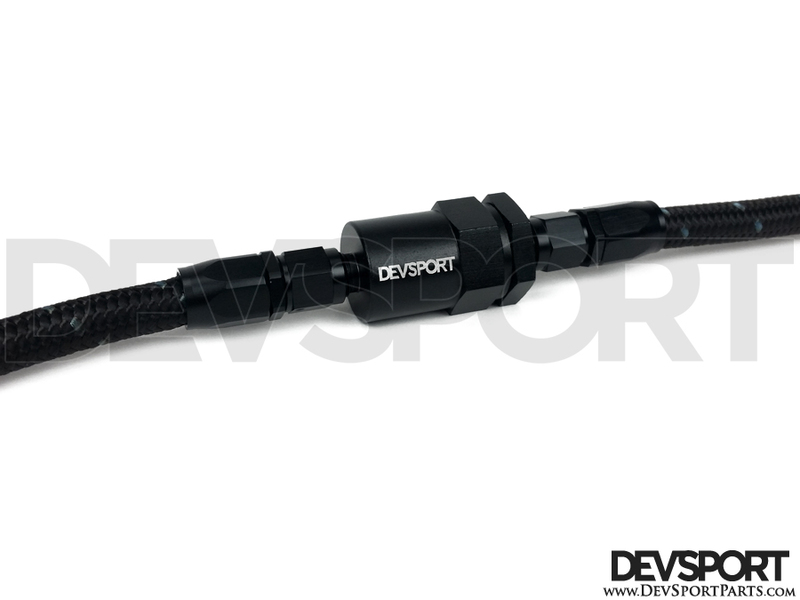 Our kits are assembled in house with the highest quality Vibrant swivel hose ends, Russell hose and DevSport fuel filter. Don't be fooled by cheaper kits that use push-on fittings or cheap hose ends. Our kits use swivel hose ends allowing you to position and adjust the line to your preference. All our lines are pressure tested and guaranteed to not leak if installed correctly. We guarantee quality and satisfaction with our fuel line kits.